University of Burdwan B.Ed Admission 2019 Form | Process | Notice | University of Burdwan Correspondence Distance B.Ed Admission 2019 |Eligibility | Cut Off | Result | Last Date University of Burdwan B.Ed Admission 2019-20. Applications are invited by University of Burdwan, for admission to Bachelor of Education (B.Ed) Course commencing in the session January 2019. The Bachelor of Education (B.Ed.) Programme of University of Burdwan aims at developing the understanding and competencies required by practicing teachers for effective teaching-learning process at the secondary stage. Duration of the Course: The minimum duration of the programme at University of Burdwan is one year. Bengali, English, Sanskrit, Hindi, Geology, History, Economics, Political Science/ Sociology, Philosophy, Education, Music, Commerce, LSc. ( Zoo., Bot., Physio., Bio-tech., Nutri, Micro-bio., Env.Sc. ), PSc. ( Phy., Chem., Bio- chem., Elect. ), Math./ Stat./ Comp. Application / Comp. Sc./ Comp.Sc. and Engineering or Information Technology. 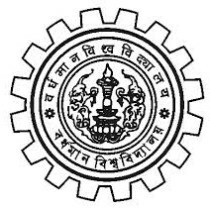 University of Burdwan B.Ed admission Eligibility: Candidates (both deputed & fresher) with atleast 50% marks (5% marks relaxable for SC,ST & PWD (Persons with disability) candidates) either in bachelar degree / or in Master‘s degree in Arts/Science/Fine Arts/Music/Commerce or any other qualification equivalent thereto be eligible for application. 50% or 45% marks (as the case may be), in Bachelor‘s Degree with Hons., may be determined either on the basis of Hons. marks only or on the basis of Hons. marks & marks of the elective subjects taken together. Deputed candidates are also be considered for pursuing this course in the Self-Financed Colleges. Duly filled in application form shall be submitted, either personally or by messenger, to the Office of the Principal of the College concerned from where the application form was issued. Duly filled in application form, issued from Sales and Information Unit, B.U., shall be submitted to the counter of the Receiving Section, B.U., Rajbati, Burdwan, to be opened for this purpose. Duly filled in downloaded application form, along with a Demand Draft of Rs 300/-( ie. cost of application form ) drawn in favour of the Finance Officer, B.U., payable at SBI , B.U. Branch, Burdwan, shall be submitted to the Office of the Secretary, U.G. Council, B.U. i) 10% of the percentage of marks obtained at M.P.(S.E.) or Equivalent Examination. ii) 10% of the percentage of marks obtained at H.S.. or Equivalent Examination. iii) 10% of the percentage of marks obtained at B.A./B.Sc./B.Com. (Gen.) Examination. iv) 20% of the percentage of marks obtained at B.A./B.Sc./B.Com. (Hons.) Examination (In such cases the marks of Elective/ Subsidiary subjects will not be considered). v) 20% of the percentage of marks obtained at Post Graduate Examination. vi) Ad-hoc 5 marks will be awarded for M.Phil. degree. vii) Ad-hoc 8 marks will be awarded for Ph. D. degree, ( For both M.Phil. & Ph.D. degree holders only 8 marks will be awarded for Ph.D.). The University of Burdwan, Rajbati, Bardhaman – 713 104, West Bengal, INDIA. respected sir,what is the commencement date of distance b.ed application 2017 ? Distance B. Ed er form kobe theke pabo??? Sir 2017 b.ed form Ki aj theke beriyeche?? I am (open backward caste)graduate with 45.75%Am I eligible for b.ed ??? sir distance mode bed from kbe theke dewa hbe??? Sir B.Ed 2017 admission form kbe theke dewa suru hbe? B.Ed 2017 admission form kbe theke dewa suru hbe? Sir distance mode bed er form Kobe theke dewa hobe please informed me.